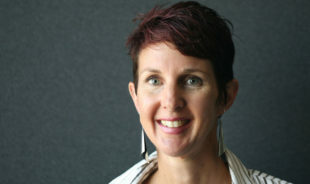 Louise started her career as an ecologist in 1995 and has a wealth of project experience throughout New Zealand. She has prepared assessment of environmental effects for a diverse range of activities including infrastructure (roading, hydroelectric power, stormwater, wastewater), agricultural (piggeries, effluent systems, irrigation), industrial (landfills, quarries, urban industrial sites), residential and rural-residential developments. Scientific skills include ecological assessment of terrestrial, riparian, wetland, freshwater and estuarine habitats, water quality and biological monitoring and analysis of watercourses, ecological restoration programmes, resource consent documentation and consultation. With particular interest in the design and implementation of restoration programmes for streams, riparian margins and wetlands, and has supervised the successful completion of these in the Western Bay of Plenty. She is the inventor of the Riparian Plant Selection Wheel for Waikato Waterways which is now being used extensively throughout the Waikato Region.